Ottawa: Legas [1-896031-12-9] 2002. (4to) 480pp. Very good plus in very good dust jacket. Signed with an inscription by the author. Black and white and color photographs, illustrations, tables, maps, appendix, index. There is a twist in the spine and the front panel is creased with a 2-inch closed tear to the top edge. "Through the stories of the pioneers from the time of Lev N. Tolstoy to the present, Tarasoff draws out the colourful thread of creative and caring humanity. Whatever your profession - farmer, business person, teacher, builder, actor, doctor, athlete, cook, diplomat, or community worker - you will need skills of development and survival". Book about Doukhobors. Locale: Prairie Provinces; Western Canada. (Western Canada, History--Canada, Pioneer Life, Settlement--Canada). New York: Alfred A. Knopf 1965, 1st edition. (Hardcover) 332pp. Near fine in very good plus dust jacket. Photographs, illustrations, index. The dust jacket is price clipped. (Guns/Gunsmithing, Shotguns). Portage la Prairie: Glen Suggett 978-0-921950-51-6 [978-0-921950-51-6] 2015. (Oblong 4to hardcover) 302pp. Near fine, no dust jacket. Black and white and color photographs, maps, notes, appendices. "The Delta Marsh is one of the richest wetlands in North America. Every square centimeter trembles and thrums with activity. Ducks, fish, herons, foxes, insects, hawks, muskrats, spiders - you'll see hundreds and hundreds of species busily working around the clock at their intricate trades. Delta is a wetland Serengeti, a mini-Everglades of the north". Locale: Delta Marsh--Manitoba; Manitoba--Canada; Prairie Provinces; Western Canada. (Manitoba, Conservation, Marshes, Natural History, Wildlife). Toronto: Macmillan of Canada [0-7715-9599-9] 1981, 1st edition. (Hardcover) 224pp. Very good in very good dust jacket. Signed by author. The dust jacket has some edgewear and scuffing. (Fiction, Canadian). New York: Alfred A. Knopf 1957, 1st edition. (Hardcover) 267pp. Very good, no dust jacket. Blue cloth with gilt lettering and decoration to spine and embossed lettering to the front cover. Illustrations, photographs, notes, index. Light edgewear. "Italy is a land full of presences. It has produced many great statesmen, brilliant artists, admirable musicians, superb poets. Each of these has left something of his spirit in Italy. Scarcely any other country has preserved so much of a richly varied past. If it were not for the courage and vitality of the Italians, they would be dwarfed by their own history" - from the Introduction. Book about Gaius Valerius Catullus, Horace, Juvenal, Ovid, Propertius, Tibullus & Vergil. Locale: Italy; Rome. (Ideas, Ideas, Literature, Poetry). North Vancouver: Hancock House [0-88839-102-1] 1994, later printing. (Mass market paperback) 297pp. Very good. Illustrations, photographs. The spine is lightly faded and the front cover is creased along the spine. "Witty, whimsical, this is a firsthand account of homesteading in the remote Bella Coola Valley. For a woman in a world of men, isolation had a very special meaning. She coped - lovingly, laughingly - and regales the reader with her memories". Locale: Bella Coola Valley; British Columbia; Western Canada. (Western Canada, Homesteading, Wilderness, Women Writers). Winnipeg: Queenston House Publishing Co. [0-919866-20-4] 1977. (Hardcover) 135pp. Very good plus in very good plus dust jacket. The dust jacket is lightly rubbed with a 3 / 4-inch chip to the top of the front panel. "In the first of these eleven stories, Willie-John McNie, aged eight, moves to the small town of Oraloo with his family, at the end of the second world war". Main character: McNie, Willie-John. (Fiction, Canadian, Fiction--Canada, Short Stories). Oxford: Oxford University Press 978-0-19-5139181 [978-0-19-5139181] 2003. (Trade paperback) 395pp. Very good plus. Notes, maps, photographs, tables, glossary, index. There is a light diagonal crease to the front cover. "Nearly two-thirds of the New Testament - including all of the letters of Paul, most of the book of Acts, and the book of Revelation - is set outside of Israel, in either Turkey or Greece. Yet up until now there has been no definitive guidebook for these important sites. 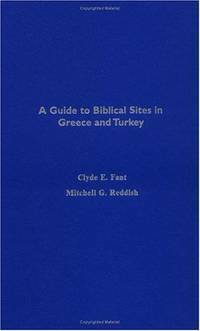 In A Guide to Biblical Sites in Greece and Turkey, two well-known, well-traveled biblical scholars offers a fascinating historical and archaeological guide to the sites". Locale: Greece; Turkey. (Travel, Archaeology, Biblical Scholarship, Christianity, History--Ancient, New Testament). London: Faber and Faber [0-571-14370-9] 1991, 1st printing. (Hardcover) 415pp. Near fine in near fine dust jacket. Signed by the author. Notes, index. The dust jacket is lightly rubbed and edgeworn and there is a previous owner's name on the front free endpaper and occasional ink markings in the text. "This selection of prose ranges in time from the early sixties to the late eighties; from vignettes to magisterial statements. At their most deeply serious and powerfully argued, they are always written with lucidity and a lack of pretension - and they are never without humour". Time Period 1965-1990. Locale: Czechoslovakia. (Ideas, Communism, Essays, Ideas, Philosophy, Politics, Prison). Pickering: Printers Guild 1946. (Hardcover) 145pp. Near fine in near fine dust jacket. Grey cloth with blue lettering to the cover and spine. Notes, tables. There is a note tipped onto the front free endpaper and the dust jacket is lightly soiled on the spine. "In the days of Edmund Burke (1727-1797) civilization was at one of its turning-points. Adam Smith ahd written a recipe for the Wealth of Nations and in the year of publication (1776) the American Colonies declared that if government was to go on meddling with economic activities they would be their own government" - from the first chapter of the text. (Business, Business, Democracy, Economics, Government, Politics, Socialism). New York: Zero Press 1956, 1st printing. (Hardcover) 239pp. Good to very good, no dust jacket. Notes, illustrations, contributors. The covers and spine are lightly soiled and there is a previous owner's ink inscription on the front free endpaper. "Two articles in this edition will be familiar to ZERO readers: Children's Cradle Songs by Federico Garcia Lorca and from Notes Taken in Ceylon by Paul Bowles. To those of you who will be introduced to our publication for the first time, both of these authors are meant to be read as examples of the quality of modern literature which we wish to maintain in ZERO as we progress and discover new talents, now that our undertaking has become anthologized" - from the Editor's Notes. Time Period 1950's. Contributors include Joseph Awad, Sanora Babb, Samuel Beckett, Asa Benveniste, Paul Bowles, Henri Calet, Venable Herndon, Storm De Hirsch, Leon Kelly, Robert Kelly, Federico Garcia Lorca, Marianne Moore, George H. Moorse, Samuel French Morse, Smith Oliver, James Parsons, Dachine Rainer, Jean Paul Sartre, Colin Wilson. (Fiction, Anthologies, Essays, Lecture, Plays, Poetry, Short Stories). The White House Cookbook; A Comprehensive Cyclopedia of Information for the Home; Containing Cooking, Toilet and Household Recipes, Menus, Dinner-Giving, Table Etiquette, Care of the Sick, Health Suggestions, Facts Worth Knowing, etc. Akron: Saalfield Publishing Company 1912, new and enlarged edition. (4to) 619pp. Very good, no dust jacket. White covers with black lettering and illustrations to the front and spine. Marbled edges and endpapers, photographic frontispiece, photographs, illustrations, diagrams, index. The covers are lightly soiled and worn. "The book has been prepared with great care. Every recipe has been tried and tested, and can be relief upon as one of the best of its kind. It is comprehensive, filling completely, it is believed, the requirements of housekeepers of all classes. It embodies several original and commendable features, among which may be mentioned the menus for the holidays and for one week in each month in the year, thus covering all varieties of seasonable foods" - from the Publisher's Preface. Locale: United States. (Cookbooks, Cookbooks, Cooking, Entertaining, Health, Household, Menus, Recipes, Reference, White House--Washington, DC). London: Naval Institute Press [0-87021-202-8] 1987. (Oblong 4to hardcover) 120pp. Fine in fine dust jacket. Photographs, illustrations, diagrams, tables, index. "The frigate was the eighteenth century equivalent of the cruiser, used for a wide variety of roles from fleet reconnaissance to patrolling the sea lanes. Launched in 1794, Diana was a typical British frigate of the period, whose long and active career spanned virtually all of the French Revolutionary and Napoleonic Wars". Book about Diana--Frigate. Time Period 18th Century & 19th Century. (Transport Aircraft, French Revolution, Frigates, Napoleonic Wars, Ships, Transportation). Cambridge: Perseus Publishing [0-7382-0608-3] 2002, 1st printing. (Hardcover) 266pp. Near fine in near fine dust jacket. Notes, index. "Applying insights from sociology, artificial intelligence, economics, and anthropology, Rheingold offers a penetrating perspective on the brave new convergence of pop culture, cutting-edge technology, and social activism. 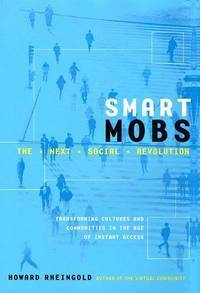 At the same time, he reminds us that the real impact of mobile communications will come not from the technology itself but from how people use it, resist it, adapt to it, and ultimate transform themselves, their communities, and their institutions". (Applied Science, Activism, Communications, Computers, Cultural Studies, Internet, Mass Media, Social Behavior, Technology). Georgetown: Small Arms Technical Publishing Company 1947. (Hardcover) 524pp. Very good in very good dust jacket. Tables, photographs, illustrations, appendix, notes, advertisements. The dust jacket is edgeworn including chips missing from the corners and spine and some clear tape repairs and a previous owner's name on the front endpaper. "This book has been written and published for the purpose of acquainting gunmakers, sportsmen, and riflemen with the extraordinary possibilities of the .22 caliber rifle as a hunting arm and for target work and testing. Its preparation and publication had no connection with any firearms, ammunition, rifle sight, powder manufacturer, or custom gunsmith. It is the combined work of an author and a publisher, both of whom are experienced hunters and riflemen, who have taken this means of providing shooters and rifle cranks with a practical work on the .22 varmint rifle and its ammunition, such as never before has been attempted" - from the Introduction. Time Period 1940's. (Weapons, Firearms, Rifles, Shooting). Stonewall: Stonewall Collegiate [circa 1961]. (Trade paperback) 88pp. Very good. Photographs. The bottom of the spine is lightly worn. "The history of the two schools, the brick Collegiate and the stone Public School, is dedicated with appreciation and affection to those teachers who, with grace and style, turned oiled floors, drafty windows and rudimentary plumbing into the hallowed halls of learning" - from the Dedication. Time Period 1891-1961. Locale: Manitoba--Canada; Prairie Provinces; Stonewall--Manitoba; Western Canada. (Manitoba, Local History, Schools--Manitoba). Hamilton: Ukrainian Women's Organization of Canada 1987. (Hardcover) 126pp. Very good, no dust jacket. Green with gilt lettering to the front cover. Illustrations, photographs, maps, notes, advertisements. The front bottom corner is lightly bumped. "This Anniversary Almanac is respectfully dedicated to all members of Ukrainian Women's Organization, Hamilton Branch who over the 50 years continued and will continue to enhance and promote Ukrainian Cultural Heritage and uphold the aims and objectives of Ukrainian Women's Organization of Canada". Time Period 1937-1987. Locale: Hamilton--Ontario; Ontario--Canada. (Ukrainian Canadians, Cultural History, Ukrainian Canadians, Women). London: Collins 1951. (Hardcover) 126pp. Very good in very good dust jacket. Blue cloth with gilt lettering and decoration to the spine and cover. Black and white and color photographic plates, illustrations, appendix. There is a 3-inch long 1-1 / 2-inch deep chip to the front cover of the dust jacket, there is a previous bookseller's ink stamp on the rear fixed endpaper and a previous owner's name in ink on the bottom of the front free endpaper. "Near Broseley in Shropshire stands an eighteenth-century gamekeeper's cottage on the high ground above the southern and westerly banks of the Severn. In the garden of this cottage can still be found fragments of pottery - relics of the origin of Coalport China". Time Period 1750-1950. (Antiques, Antiques, Coalport Porcelain, Collectibles, Household and Domestic, Pottery). New York: Viking Press [0-670-23916-X] 1970. (Hardcover) 157pp. Very good, no dust jacket. Notes, index. "A column about books signed 'Constant Reader' ran in the New Yorker almost every week from October 1927 through May 1928, and intermittently thereafter until 1933. It was an open secret that 'Constant Reader' was Dorothy Parker, though her name never appeared. Her original books of poems and short stories were being published in those same years, but no one collected the Constant Reader pieces - partly, perhaps, because of the convention of pseudonymity, which would have prevented the use of her name". Previously published in The New Yorker--Magazine. Book about Dashiel Hammett, Ernest Hemingway, Katherine Mansfield, A.A. Milne, Upton Sinclair. Time Period 1927, 1928 & 1930's. (Ideas, Essays, Ideas, Literary Criticism, Reviews). Gloucester: Alan Sutton [0-86299-108-0] 1987. (Trade paperback) 445pp. Very good plus. Abbreviations, maps, fold-out map, illustrations, photographs, tables, appendix, notes. There is a previous owner's book plate on the front inside cover. "Among existing villages in the English countryside are the sites of many others which have not been fortunate enough to survive, though six hundred years or so ago they were little different from their neighbours. Professor Beresford has located these lost villages and he describes the occasion of their depopulation and the character of those who destroyed them.... A classic pioneering study which is an important contribution to economic history and historical geography, as well as a guidebook to an unexplored part of the English landscape". Locale: England; United Kingdom. (History--England, Archaeology, Economic History, Historical Geography--England, History--England, Villages).